PC4HP high performance ceiling loudspeakers with 100V power transformer and 8Ω power tap. 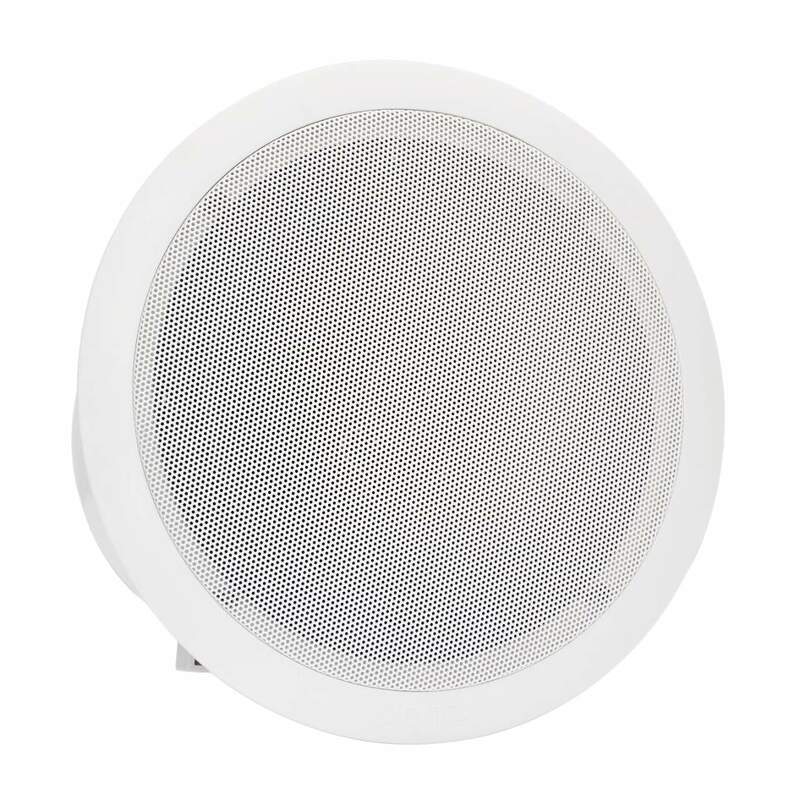 A high quality coaxial speaker incorporated into a plastic enclosure with an aluminium grill and metal dome. Very strong loudspeaker construction with excellent sound reproduction. These loudspeakers can be quickly and simply installed into false ceilings. Match a wide sound dispersion with an innovative design and you have a strong and powerful sound reproduction loudspeaker that has almost unlimited applications, such as: shopping malls, restaurants, office buildings, anywhere where the main requirement is background music reproduction. 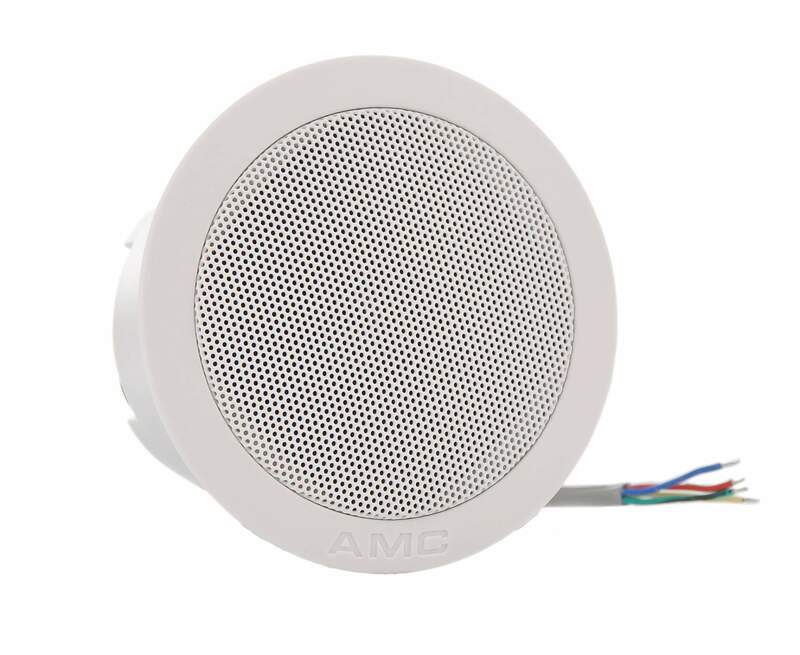 The speaker has a Phoenix connector with special cover for easy and safe installation.